Porslinsmugg med vargmotiv. 9,5 cm hög. Rymmer ca 2 dl. 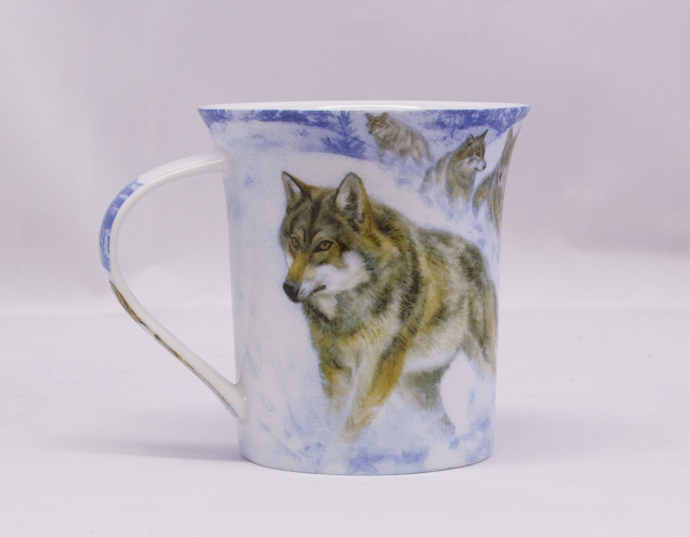 Porcelainmug with wolf theme. Hight 9,5 cm. Approx. 2 dl.